Progressive Bronze Altar Crucifix, comes in Brass or Bronze in 25" High with 9"
Base, and 30" High with 10" Base. 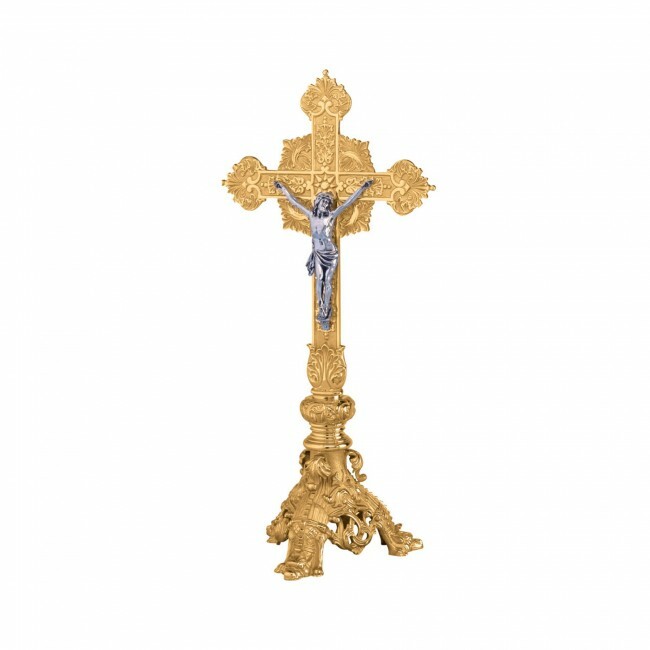 -- Please Select --High Polish Bronze 25"High Polish Bronze 30"High Polish Brass Finish 25"High Polish Brass Finish 30"
Beautifully ornamented Altar Crucifix available in 2 sizes: 25" high with 9" base and 30" high with 10" base. Both sizes also available in Brass or Bronze and are oven bakes for durability. This magnificent altar crucifix will make a ideal gift for the church.